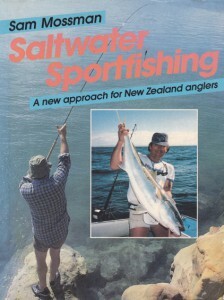 About 30 years ago Sam Mossman wrote a seminal book on angling in New Zealand called Saltwater Sportfishing (ISBN #0 7900 0095 4). It was a ground breaking book that was years ahead of its time. Many of the things Sam discussed, and the techniques he suggested, are now common place whereas back in the day they were considered radical and innovative. He was a saltwater lure fishing pioneer. Lure fishing is a fascinating facet of fishing at sea. There is something inherently attractive about taking fish on an artificial lure. With the advent of many new and innovative types of lures on the New Zealand market, the field is wide open for experimentation with different designs, techniques, and target species. For many years the development of lure fishing was hamstrung here by the unavailability of many types of lures. The saltwater angler was pretty much limited to chromed & brass Kahawai spinners . 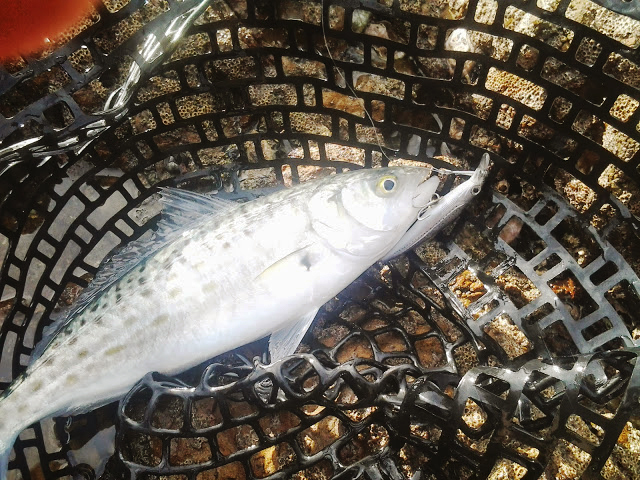 There is nothing wrong with these lures, and they remain top producers today, but the field of operations for the lure fisher was confined to casting for Kahawai at river mouths or to schools of surface fish offshore. In the mid 1970s, I started experimenting with different methods of lure fishing offshore, using this type of lure. 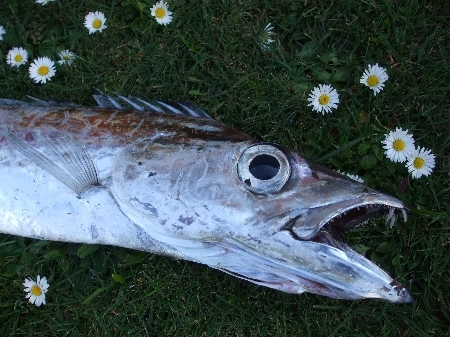 Casting and retrieving in the mid and surface waters brought predictable results at first: Kahawai, lots of them fat, fit, oceanic fish of two to three kilograms. It was great sport, and I went down to 2.5-kg line to make the most of it. Occasionally, more exotic fish would make an appearance. A five kilogram Albacore gave me a great tussle on the light gear, and Bonito, Barracouta, Blue Mackerel, and small Kingfish all put in appearances, but surface-feeding pelagics were not always available. I soon tried jigging — bouncing the lure around on the bottom and in mid water. Results were slow at first and every fish an achievement Jack Mackerel, Blue Bod, Snapper, Gurnard, and, once, a rare and coveted Frostfish (see below). covered with strange Oriental hieroglyphics, and the famous “Rapala” diving lures from Finland, to mention a few. Suddenly, it was a whole new ballgame . . . Many species of fish will take lures, if the correct lure is presented in the correct manner. Looking through my records, I have found seventeen different species that I have caught on lures. They are: Kahawai, Albacore, Bonito, Blue Mackerel Jack Mackerel, Barracouta, Frostfish, Blue Cod, Gurnard, Herring, banded sea perch, snapper, Kingfish, blue Maomao, John Dory, Spotty, and Trevally. In addition, there are a number of other species which I am sure would be susceptible to a lure. Among them are Groper, Red Snapper, Tarakihi, Trumpeter, and several species of Sharks. Makos are known lure takers, and Blue Sharks are another possibility. I spent a while teasing a Blue with a Mr Twsister lure one day. It made several attempts to take the lure, but I pulled it away each time, not particularly wanting to hook the dozy creature and knowing it would go straight through my light line if I let it take. How effective are lures, compared with bait? Well this depends on circumstances. On a school of surface or mid-water feeding predator’s, a cast lure is streets ahead of a cut bait and considerably more convenient to use than a risked whole fish. For many bottom feeding species, however, a bait is frequently more effective. On a number of occasions, Grant Petherick and I have held direct contests of bait versus lure and in each case the bait won. hands down. There are exceptions to this, like the John Dory, which will seldom take a cut bait but will accept some lures quite readily. There are a number of advantages to lures, however. You don’t have to mess around with bait, the fish you catch tend to be the larger and there is a greater sense of achievement in fooling a fish with a man- made artificial. Look out for part two coming soon.